Extraordinary Events, LLC is a full-service marketing and public relations agency with an emphasis on strategic event management and design. Our boutique agency serves Kentucky and the surrounding region. We like to think of ourselves as a unique, one-stop resource for ALL of your needs! By working with an extremely talented, award-winning group of specialized professionals, Extraordinary Events can conceptualize and implement events or marketing plans of any size or magnitude. 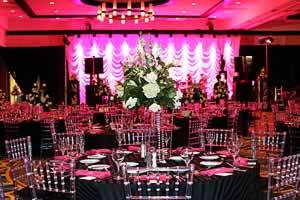 Extraordinary Events promises to provide the highest level of customer service and discretion to all clients. From simple designs to complex projects we offer creative strategies, innovative solutions and responsive service. It’s that little Extra that makes us different!